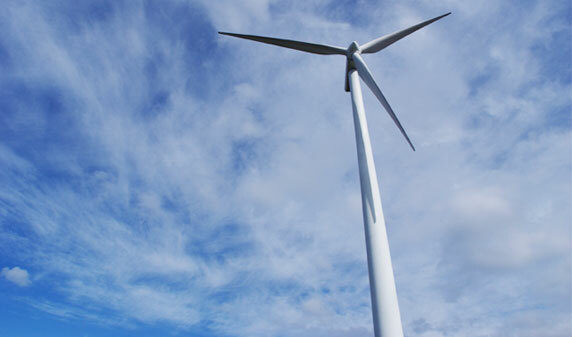 Visitors' personal information received via email is provided only to the Huron Wind staff, who requires the information to respond to inquiries. This information is not used for any other purpose. No information sent to Huron Wind via email or a website inquiry form is used for any other reason than to respond to and maintain a record of the inquiry. This information is not sent to third parties or retained for mailing list purposes. Information on individual visitors is used by the Huron Wind staff who needs to know the information in order to respond to your request or to ensure the security of this system. The information is only shared with another department or organization if your inquiry relates to that department or organization. The information is not used to create individually identifiable profiles, nor is this information disclosed to anyone outside Huron Wind. Huron Wind does not use personal information for any other purpose than that identified before collection. Huron Wind does not sell, trade, or rent personal information to others. Huron Wind may provide aggregate statistics about traffic patterns, and related site information to relevant committees and organizations. These statistics will include no personally identifying information. Huron Wind employs software programs to monitor network traffic to identify unauthorized attempts to upload or change information, or otherwise cause damage. This software receives and records the Internet Protocol (IP) address of the computer that has contacted our web site, for the date and time of the visit and the pages visited. We make no attempt to link these addresses with the identity of individuals visiting our site unless an attempt to damage the site has been detected. Huron Wind occasionally uses "cookies" to track how our visitors use this site to determine sites previously visited. The cookies we use do not allow us to identify individuals. The computers of Huron Wind are password protected, and have the industry standard techniques of protection such as firewalls, encryptions, restricted access to records and equipment. However, data sent through the Internet cannot be guaranteed 100% secure. Huron Wind cannot ensure the security of any information sent to us or received by us electronically. Once the information sent by email has reached us, the best efforts are made to make sure your information is secure on our servers. Any message that you may send to the Webmaster for this site will go to Websmart Consulting. Information concerning the functioning of the site is provided to the Webmaster so that they can make adjustments to the site to maximize its effectiveness. Any questions, concerns or complaints you may have about how Websmart Consulting is handling personal information from this site should be directed to the Huron Wind Privacy Co-ordinator as listed below.